Search for attorneys licensed by the Supreme Court of Illinois by filling in the attorney's last name (and/or other info) and selecting an exact or phonetic last name search. Gives you the date admitted, business address and phone, any former names, whether or not the attorney is authorized to practice law, and if there is any record of public discipline and proceedings. There is less-detailed information than in Martindale-Hubbell, but if you need contact information and the attorney is not in M-H, try here. Search by firm name or attorney name. This is an online version of the "Blue Book" information. You can do a search by attorney or law firm, field of practice, mediator, or out of state. For about $25, you can order a detailed vehicle history report, which checks a car's identification number to see if it has ever been involved in a fraudulent situation, if the title is encumbered, if it's been in a wreck and retitled, or if there's been a manufacturer's recall, plus much more. International crash-test results, rollover ratings, the deadliest vehicles, the costliest vehicles, safety statistics, and much more. Also lets you compare crash results for three vehicles at once. Note: Be sure to scroll all the way to the bottom of the web page. Values, reviews and ratings, advice, financing, and insurance for new and used vehicles. Also allows you to compare new vehicles or used vehicles and contains reviews. Site has tabs for autos, classic cars, motorcycles, boats, RVs, and manufactured homes. "The Collaborative Defense Network for Expert Witness Research. 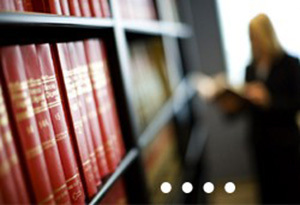 IDEX collects information on, and researches the background of, expert witnesses. Exclusive to the defense bar, the network has grown to over 4,000 member law firms, insurance companies, corporations, and government entities." This is a fee-based tool. Do a license lookup on the Missouri professional you're tracking. The starting point for an amazing amount of data, including figures from the 2000 census, the 1990 census, projections and estimates, and more. State and county quick facts give summaries of the most-requested data for states and counties. Easy-to-use tool for investigating U.S. demographic trends that includes graphics and exportable data. Allows you to search by company name, ticker, industry keyword, stock quote, IPO companies, executive name, news, and also do searches for reports for free. Also includes an A-Z index of companies. Additional information available for a fee. You can do a corporation search, LLC search, or combine the two, and check by name, keyword, partial word, or file number. This search gives results from the Illinois Secretary of State's database and gives names of the principal officers, incorporation date, and agent, and whether the company is in good standing, among other things. Search for products and services, companies, or brands, or browse extensive categories of industrial products. Search companies, SEC filings, and historical archives, among other things. There is a handy tutorial for how to use the site. "The Federal Judges Biographical Database contains the service record and biographical information for all judges who have served on the U.S. District Courts, U.S. Circuit Courts, U.S. Courts of Appeals, and the Supreme Court since 1789. To view a judge's biographical entry, type in the judge's name (Last name, First name) or use the alphabetical index." Search legislation (current and past) and the congressional record, track bills, get congressional committee information, and more. Updated regularly. Lets you track the work (caseload, dispositions, etc.) of federal district judges and compare the stats to profiles for the district and nation as a whole. This table is simply a list of common names for legislative acts (e.g., Computer Fraud and Abuse Act of 1986). Where possible, there is a link directly to the relevant section of U.S. Code (but not if it's codified in many different titles). Includes information on and links to miscellaneous information about each of the 50 states from the state constitution to climate, from fast facts to topography and state maps and everything in between. Get statistics on civil caseloads by county, average time lapse from filing to verdict, law case disposition by county, and more. Report used to be issued in print, but now is only available online at this website. You must use the print version for stats prior to 2001. Also includes a list of Illinois cities and their corresponding counties. Includes legislation and laws (bills and resolutions, public acts), Illinois Compiled Statutes, legislative reports, the Illinois Constitution, information on the current Illinois House and Senate, previous general assemblies (through 1977), legislative agencies, administrative rules, the Illinois Register, and a legislator lookup. Provides links to a variety of websites helpful for professionals concerned with Illinois law, along with the full text of Illinois Bar Journal and ISBA newsletters. Also includes ISBA ethics opinions and a guide to the Illinois statutes of limitations. Award-winning site with links to constitutions and codes, court opinions, law by source or jurisdiction, directories, and even an introduction to basic legal citation. This site pulls together an amazing amount of information and links. There is a channel for legal professionals that includes resources by practice area, federal and state resources, links to cases and codes, reference resources, forms, articles, and more. Also includes a "Lawyer Search" feature and a directory of expert witnesses, court reporters, and legal investigators, among other things. Try the "Search Findlaw" feature: Use the drop-down menu to search the Findlaw article library, legal dictionary, legal news, and legal websites, among other things. Prepared by the Law Library of Congress, this page provides an annotated guide to government and law sources online. For example, the Illinois page at includes links for the Constitution, Executive, Judiciary, Legislature, Legal Guides and Miscellaneous, and General Sources. This catch-all site has a little (or lot) of everything: 70 areas of practice, directories to find law firms or experts, legal news, legal forms, links to bar and other legal associations, and much more. Comprehensive website with many links. Major categories include Daily News & Info, Legal Research, Office Tools & Travel, and Breaktime. Large collection of free legal forms split into two categories: business and general, and legal practice. Note disclaimer from the site: "While [the forms] may provide general ideas on format & content, validity requirements can and do vary greatly from state to state. Many MUST be properly modified for your own location and circumstances." Allows you to search for a specific term, word(s) within a definition, or browse an A-Z listing. If you don't find anything here, try . This site includes links to over 1,400 sources for state and federal court rules, forms, and dockets. You can browse to find the resource you need, or search by keyword. Online search for docket sheets from federal district, appeals, and bankruptcy courts. Some courts also have full-text documents available. Fee based, but reasonable in cost. Good place to start if you want to know if someone has ever published a book, or if you have an incomplete citation for a book. A good source for hospital financial information and utilization data. Provides online data for over 6,000 hospitals. Database information is built from Medicare claims data, hospital cost reports, and other public use files obtained from the federal Centers for Medicare and Medicaid Services (CMS). Includes peer-reviewed articles on 7,000 diseases and disorders. If you know your expert witness published an article on a topic, but you cannot find it in PubMed, it might be here. Other tools include specific cases, a consumer health section, an institution finder, and a pill identifier (by imprint code). Links to over 400 medical journals that have free full-text articles. The time frame for when the articles become available varies by publisher (e.g., after six months, after a year, etc.). Definitely worth checking before paying for an article! "The Bartleby.com edition of Gray's Anatomy of the Human Body features 1,247 vibrant engravings many in color from the classic 1918 publication, as well as a subject index with 13,000 entries ranging from the Antrum of Highmore to the Zonule of Zinn." Your expert's C.V. has a number of articles on it with cryptic abbreviations for the journals. Just where has he/she published? Check the abbreviations at this source to find out the journals' full names. "A medical algorithm is any computation, formula, survey, or look-up table useful in healthcare." This site collects over 6,100 algorithms spanning major medical domains, organized into 45 chapters (e.g., trauma medicine, performance measures and quality of life, and infection control). Contains a medical dictionary, pharmaceutical company search, medical abbreviations, hospitals and associations. Provides spellings, pronunciations, and definitions for many medical conditions. If you're not sure of the spelling, just enter what you do know followed by a "*" (e.g., gastro*). This source provides a handy way to find medical articles without having to go into Westlaw. PubMed, which is a service of the National Library of Medicine, provides access to over 15 million citations from MEDLINE and additional life science journals back to the 1950s. Includes links to many full-text articles (although most have fees to view articles). The journals database translates journal abbreviations into full titles. Limited information is available because of privacy concerns, but some is there. Lets you enter an acronym or abbreviation directly, browse alphabetically, or browse by category. Need a quote to jazz up your document or speech? Racking your brain to figure out who is credited for a famous saying? Try here! And if you specifically want a "contemporary" quotation, try Simpson's (see listing below). Choose from nearly 50 languages (e.g., Latin, Yiddish, Thai, etc., and all the more common languages). Also includes an international keyboard. This database claims to hold 5 million articles (nonmedical) from over hundreds of publications. You can search for a term directly or browse an alphabetized list of publication names and also a list of publications by topic. Some articles are free, some are not. A "catch-all" website that includes almanacs, an atlas, a dictionary, an encyclopedia, a thesaurus, biographies, a conversion tool, and periodic table. Infoplease is part of Pearson Education. Use this resource when the paper dictionary just is not handy. Also includes a thesaurus. Looking for a story or quote from a National Public Radio story? Check here! Searchable by state. If you come up with nothing, check other sources because the county assessor you need may have put up a website since this page's last update. Get maps or driving directions between two destinations from a respected publisher of maps and atlases. More accurate than MapQuest!!! Click on the "Acronym Finder" link and enter a term or a keyword to narrow your search. Also includes handy reference tables ranging from mathematical symbols and signs to the Greek alphabet, plus many more. Claims to include "the most notable quotations: 1950-1988." Contains "over 9,000 quotations from 4,000 sources organized into 25 categories and 60 sections." Includes a "date difference" calculator that will add or subtract days to/from a given date. Site also has other good calendar and time tools, including a world time search, calendars, and countdowns. An easy-to-use site for rapid translations where you can get the "gist" of foreign language text and web pages. Language possibilities are more limited than with Fagan Finder (see listing above). Need to look at a previous version of a website? Try here. This page allows you to browse through 40 billion web pages from 1996 to just a few months ago. Their database contains the municipal codes for over 1,500 communities, including Peoria, Rockford, and Springfield. An AT&T website where you can search the white pages, yellow pages, do a reverse lookup, and check for toll-free numbers. Reverse phone and address directory (including cell phone, unlisted, and disconnected numbers) to find those elusive witnesses. Some searches are free. Includes yellow pages, white pages, reverse lookups, maps, area and zip codes, and driving directions. Find a person, business, area code, and zip code. Also allows you to find someone if you have a phone number or address already. Check on political contributions to state races. Note: The website says information isn't available for Illinois, BUT IT IS click on the link anyway. You can search contributions by individual contributor, candidate, committee, or proposition. Get daily climate data, surface hourly observations, hourly precipitation, storm data, and much more. They can email the info (nominal fee) or send paper copies. Certified data is somewhat more expensive (about $25.00) than uncertified data, but both fees are reasonable. NCDC is the world's largest archive of climate data. Offers a site search by keyword, city, and station name, as well as an option to browse by data type. Most data can be purchased online and then downloaded right to your desktop. This site is from the U.S. Postal Service and gives the ZIP + 4 code for a city, all zip codes for a city/town, all cities/towns in a zip code, and ZIP + 4 for a company.